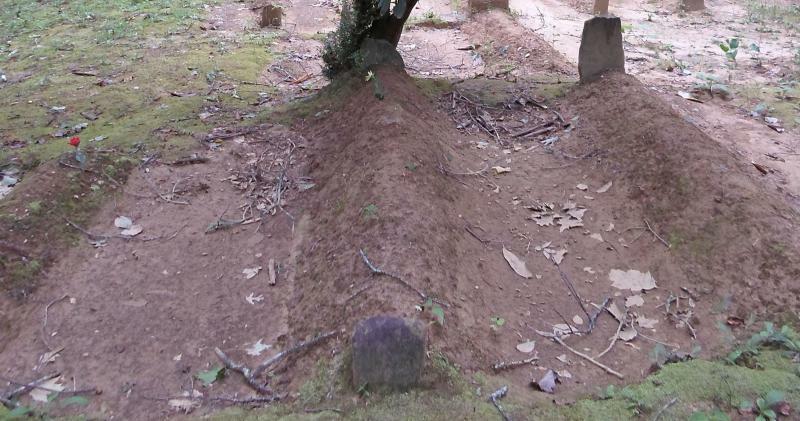 What was the purpose of mounding a grave? Why do you post your cemetery work on the GoSmokies website instead of here on your own website? Why are some of the cemeteries carefully maintained while others are allowed to grow up in weeds? Why do so many of the headstones have no inscription engraved on them? 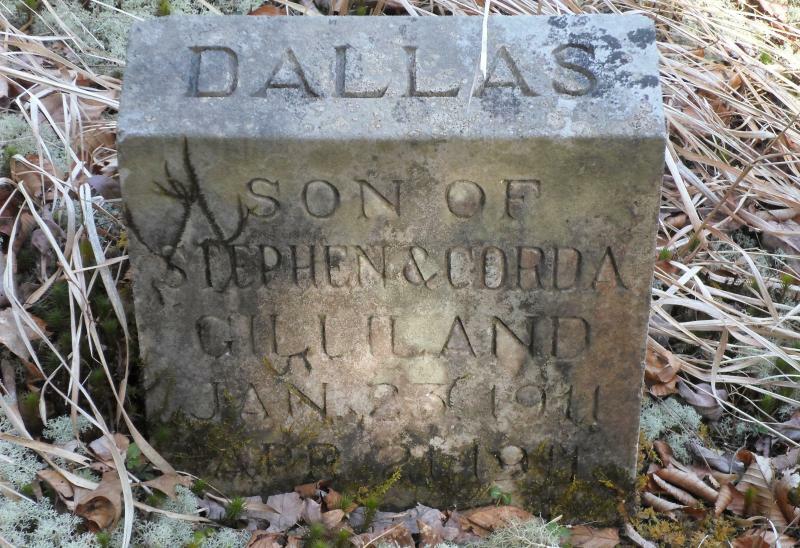 Why are there so many child and infant graves? 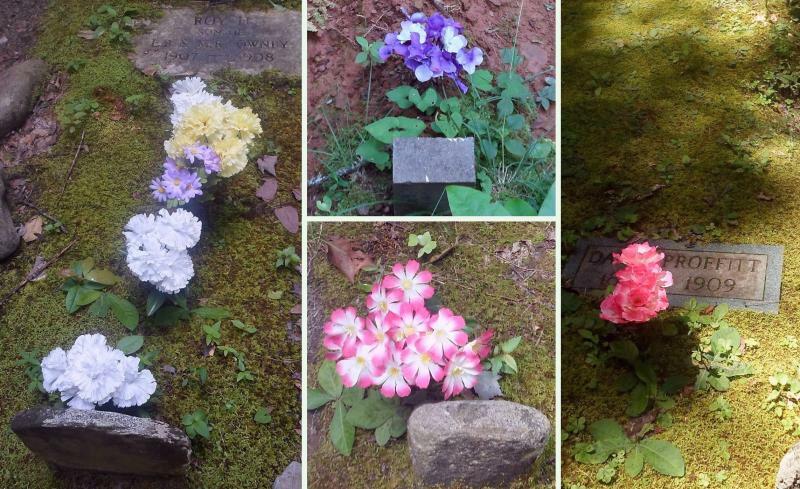 Where do the flowers on the graves come from? Do you communicate with the spirits of the dead? For those new to the concept, mounding is the practice of creating a long, narrow mound of dirt the length of a grave from the headstone to the footstone. A typical mound is less than a foot wide, narrower than the coffin it covers. Mounding served three purposes. First, it acted as a corrective measure against the inevitable sinking of a grave as the wooden casket decays and collapses. Second, even the poorest person who could not afford a fine monument could still do something special that communicated that the grave was being actively tended. Third, since many graves were marked only with common stones, it claimed the ground so that no one else might accidentally dig there. In cemeteries where mounding was practiced, modern-day caretakers continue the practice to honor the traditions of the original residents. 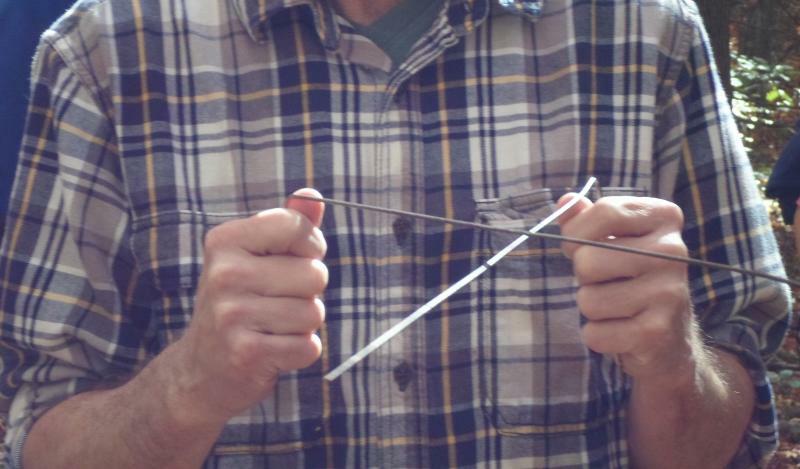 For readers who might not be familiar, dowsing (sometimes spelled "dousing") is the use of divining rods to determine where bodies are buried in otherwise unmarked graves (the same technique used in "water witching"). We have experimented with the technique, but do not consider ourselves proficient. We are privileged to interact regularly with several respected cemetery historians who practice the technique, so we will not summarily dismiss its validity - however, we harbor a certain objective skepticism. We have looked at more than one formal study where noted practitioners were unable to identify known graves under controlled﻿ conditions. We have heard of master dowsers who claim the ability to identify the gender and general age of the deceased through dowsing. Others purport to summon up even more detail. It might be one thing to state that there is a body buried here, but to further state it is an adult male with one arm missing is somewhat a stretch of credulity. Second, GoSmokies has a broad and varied readership. 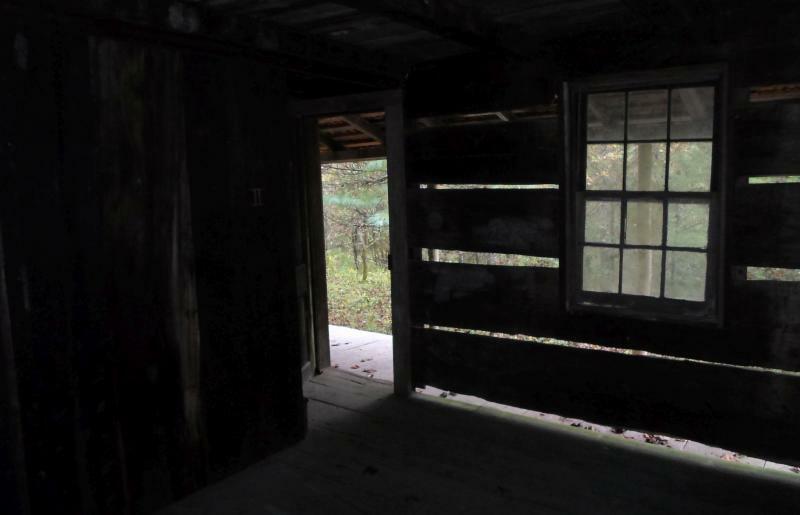 Our efforts to provide remembrance to the souls buried within Great Smoky Mountains National Park are enhanced through GoSmokies by putting the stories of the mountain folk in front of readers who might not have the opportunity to visit these cemeteries in person. 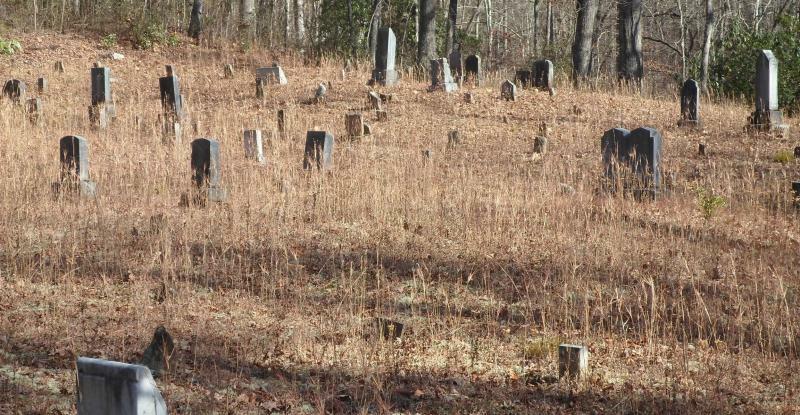 Some cemeteries are under the care of organized cemetery associations such as the Cades Cove Preservation Association or the North Shore Cemetery Association, and are maintained by volunteers throughout the year. We have seen the results of these efforts firsthand and can assure you that these people work very hard. 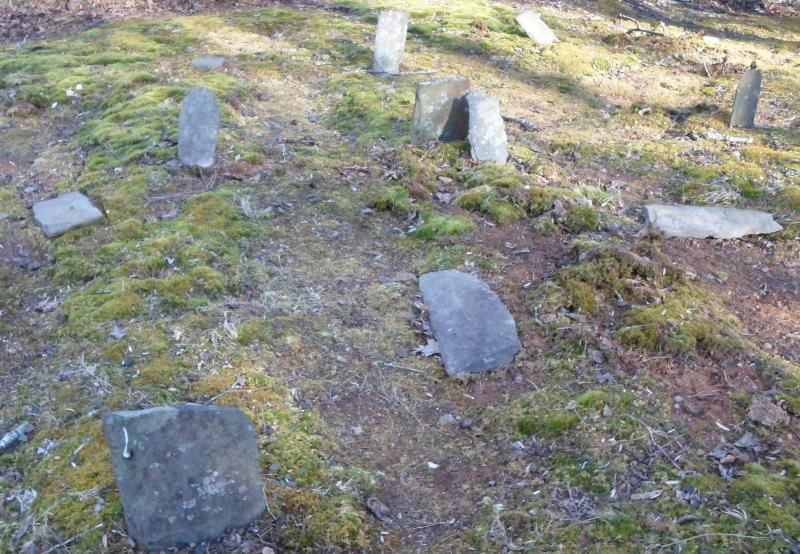 Smoky Mountain cemeteries that do not fall under the jurisdiction of such organizations are maintained by the National Park Service, which cleans them up once a year, usually in the spring. By the end of summer, the weeds have once again taken over. Before the advent of commercially manufactured headstones, graves were marked by simple fieldstones harvested from the land. Some of these old stones may have once had inscriptions, but the porous nature of a rock soft enough to carve without specialized tools leaves them susceptible to the ravages of time and erosion. In the majority of cases, however, these blank stones were never inscribed in the first place. The population was generally illiterate, so a written inscription was irrelevant to most people. An inscription was also unnecessary, as these communities preserved a rich oral history passed down from generation to generation. Everyone in a community knew who was buried where, as well as the details of the person's life. Do you intend to publish a book about the cemeteries? We have entertained the idea, but not in the immediate future. Certainly. Register to receive our email newsletter, and we'd keep you in the loop.